New large sports stadia are often multifunctional buildings - apart from sports purposes, they are also used for concerts and other events with large spectator attendance. Regardless of whether the stadium can be closed or not, spectator comfort, thermal comfort and shelter from wind and rain, should be ensured. A few examples of previous studies are given below - mainly in graphical format. Additional information can be found in the publications or can be obtained upon request. 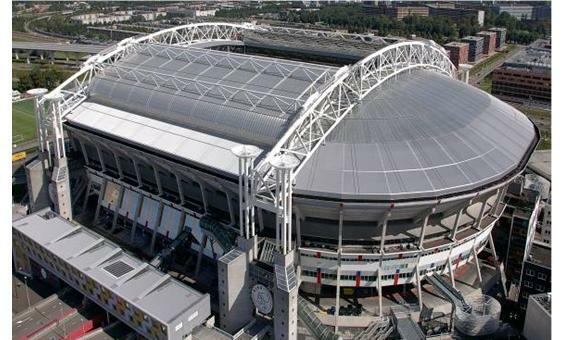 Amsterdam ArenA football stadium, view from ABN-Amro tower. The stadium roof is open in this picture. 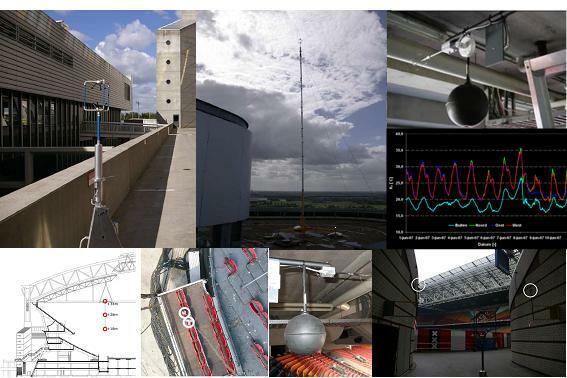 Stadium interior - location of two of the measurement positions for air speed, air temperature and relative humidity. 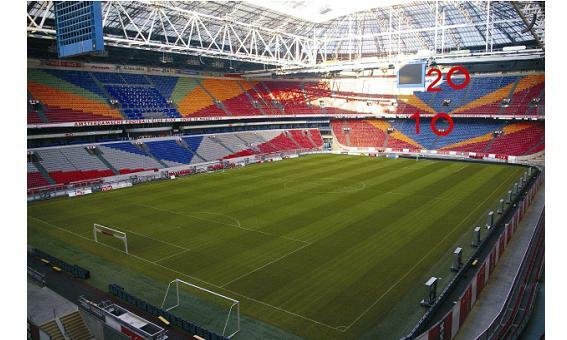 Measurements made around and inside the stadium. Computational grid of stadium and surroundings, based on grid-sensitivity analysis. 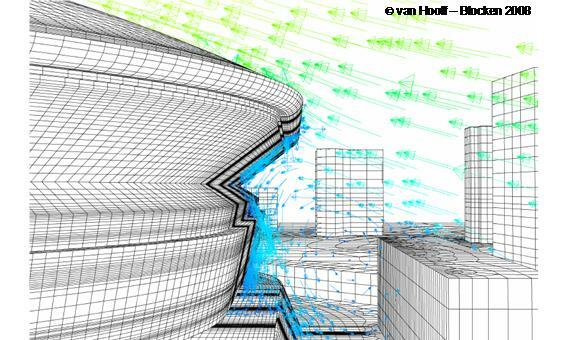 This grid was specially made for analysis of stadium ventilation strategies - therefore grid resolution is highest inside and in the immediate vicinity of the stadium. For more information, see . 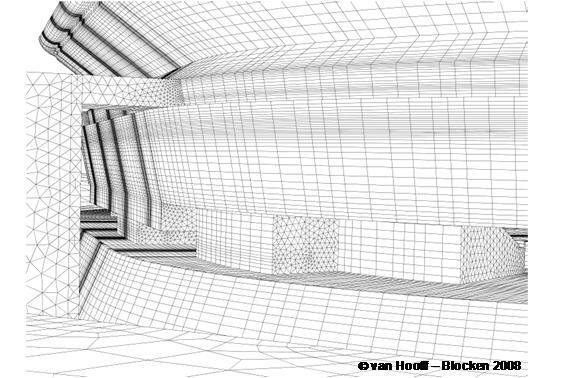 Detail of computational grid. For more information, see . Velocity vectors in a vertical plane - illustrating downflow along the stadium facade. For more information, see . Air temperature distribution for natural ventilation study. For more information, see . 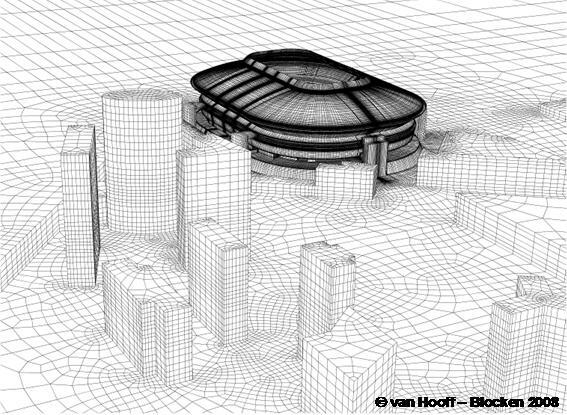 Generic stadium configuration (right) based on the AZ stadium (left) designed by Zwarts and Jansma Architects. 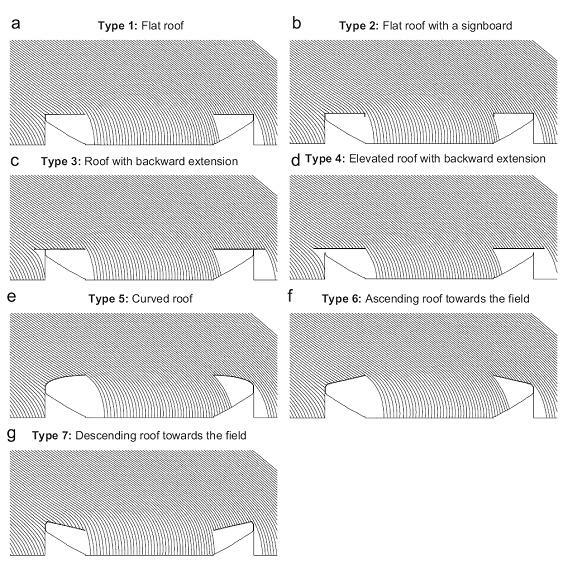 Visualisation of raindrop trajectories in a vertical plane through stadia with different types of roof geometry. Reference wind speed U10 = 10 m/s, raindrop diameter d = 5 mm. Rain shelter is strongly dependent on the roof type. The effect of roof geometry on rain shelter is stronger as would be calculated based on the simple trigonometric formula for wind-driven rain. For more information, see .